Kate Moss has just landed a huge campaign. She may have turned 40 a few weeks ago, but the British supermodel doesn’t look like she’s going to give up her modeling career anytime soon. 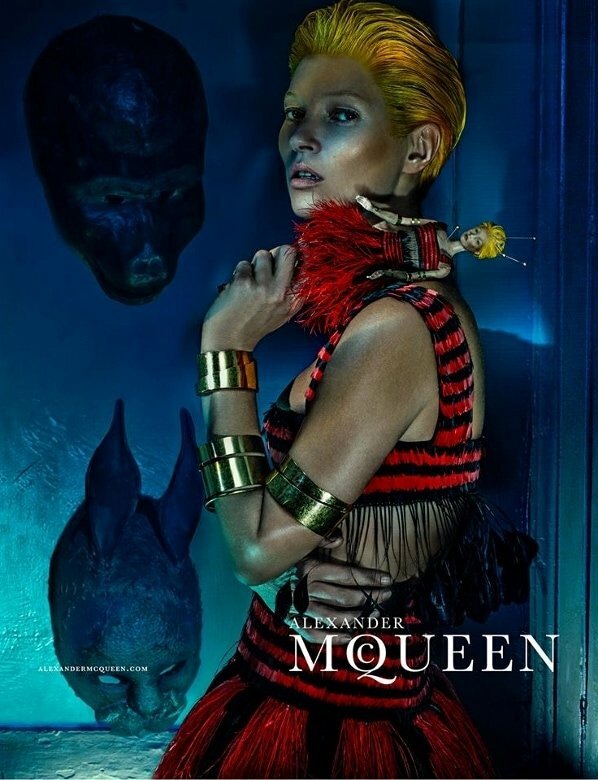 Kate has been transformed into a Tilda Swinton look-a-like for Alexander McQueen‘s long-awaited SS14 campaign. But her bright yellow crop did nothing to mask those killer cheekbones. The dark images were shot by Steven Klein, who also directed the accompanying creepy film. Moss was photographed alongside an identical voodoo doll, complete with pins. 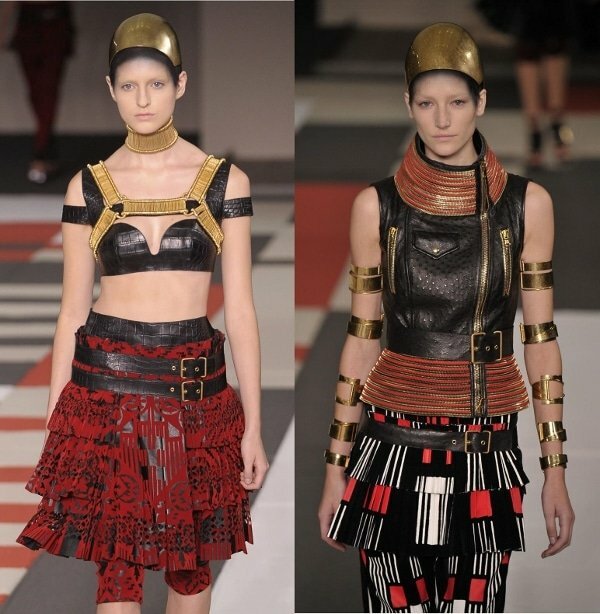 Leather, feather embroidery, and heavy gold bracelets feature heavily in the SS14 collection. Alexander McQueen have also given us a good view of those artistic architectural sandals. Kate’s platform shoes are a combination of marbled plastic, red snakeskin, and lots of buckles. Check out the looks on the runway, and don’t forget to watch the campaign film below!